Today is a very special day for Arise Africa because we are celebrating Megan's Birthday! For those of you who haven't been to Zambia you might not know Megan. Megan is our (ONLY!) American living in Zambia and does just about everything you can imagine on the ground. 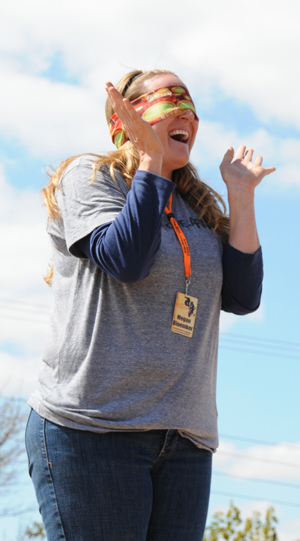 From chasing kids down who are in trouble to handling finances and running mission trips she can do it all. If you were stranded on an island you would want Megan with you because she has done just about everything you could ever need to do already! (and she is a good cook) Megan has lived in Zambia for 8 years and has been one of my best friends since 2008. I am not sure Arise Africa would still be in existence without Megan. 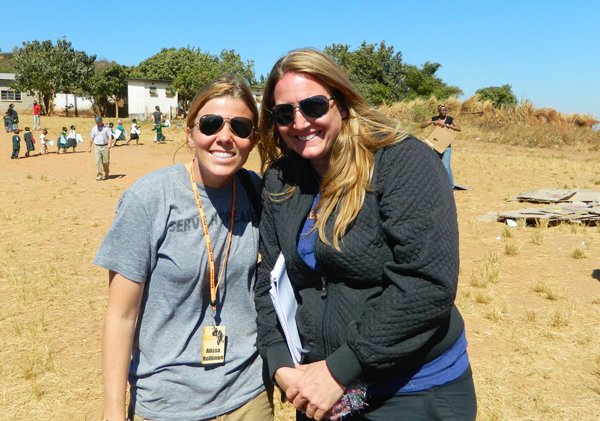 YEARS ago as I dreamed about Arise Africa and when we started, Megan was my "sounding board." She worked for another ministry at the time and we met through friends in Zambia and always chatted about my ideas. As time went by and I dreamed and bounced thoughts off Megan, she was always quick to give advice and listen, two things I desperately needed. Fast forward a few years and Arise Africa was up and running and Megan was ready for a new ministry to call "home." She threw out the idea on a visit to see me in Dallas and as she remembers we were standing in my garage at the time. I really didn't know what I was doing when I said "yes" that Arise Africa would love Megan to come on board and the massive impact it would have. There is NO way we would have grown or accomplished so much in such short time without Megan! The only way this story could have happened was through the Lord. Without him how does a girl from Chicago even get along with a girl from Texas?! The blessing Megan has been on Arise Africa is immeasurable. And personally the blessing and advice and support she has been for me as a friend is priceless. Megan puts up with alot from me and I don't deny that. Heck she is from Chicago and deals with Texans on every single mission trip. She might make fun of how we have everything monogrammed and are obsessed with Texas A&M and love fireworks and guns and Mexican food but we know she loves us deep down. Megan deals with me when I am stressed on the phone or have an absolute crazy idea. She has a way of telling me "no" in a way I need to hear. She will do anything when I ask her even as far away as I am. She is ALWAYS looking out for others and willing to serve. God put a friend in my life when I needed one most. As I started out on this Arise Africa "venture" I never dreamed it would turn into the ministry it is today. And there is no doubt the Lord had a plan for both Megan and I and all who have been involved. God has used Megan within Arise Africa in ways we all can tangibly see on earth, just imagine what it looks like from heaven! Megan as you celebrate your birthday I hope you know how much you are loved by ALL of us within Arise Africa. There is no doubt that hundreds of children are being helped daily because of your efforts. You are selfless, loving, motherly, a best friend to many, a servant, a Christ follower, a leader, a great sister, a great aunt, a great daughter, and an incredible person on this earth. You make Arise Africa what it is and we thank you for ALL you do in the Lord's name ! WE LOVE YOU MEGAN!